One of the biggest disappointments of the iOS 4.3 was that we knew the neat four- and five-finger gestures wouldn’t be there. But, we didn’t realize they were actually there and just needed a few clicks on the mouse to be enabled. These gestures allow less use of the Home screen and more use of your fingers; after all it is a tablet. So how do we enable these four- and five-finger gestures, a.k.a Multitasking Gestures? First we need to start with Xcode which comes standard on your Mac depending on your settings, alternatively you can download Xcode from the App Store if your willing to spend the $5. We’re using a little older edition of Xcode, Xcode 3.2.5, surprisingly after downloading a few files from the Internet it was ready to set into development mode. After you have installed Xcode, fire up Xcode and plug in your iPad. The Organizer should pop up immediately. Under the “Devices” tab on the side, find and select your iPad. 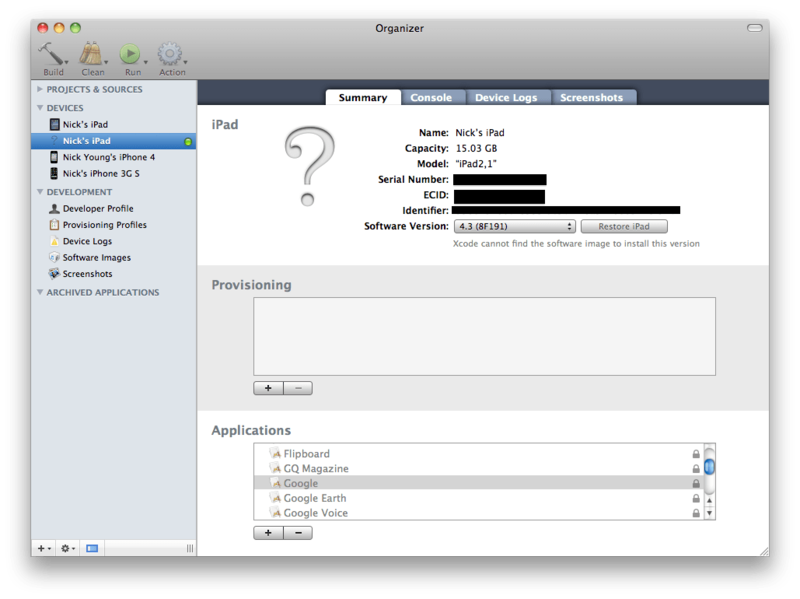 Once your iPad is selected, click on the large titled “Use for Development” button. It will ask you for the “Developer Account” information, just click cancel if you do not have the $99 account. Depending on the version of Xcode, it might need to download a few files, then it will process them — so let Xcode do it’s thing. When Xcode doesn’t show any activity, move down to the next step. 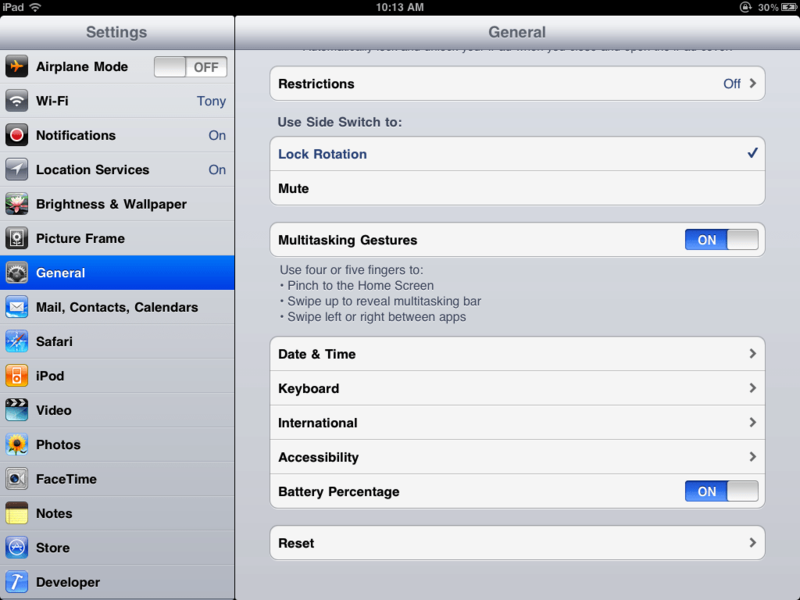 On your iPad, launch the Settings app. Then select General and scroll down until you see the Multitasking Gestures. It’s flip should already be in the on position, and away you go, no more need for the Home button. Could the Home button be ditched in future versions of iDevices? How did this work for you?